We’d love your help. Let us know what’s wrong with this preview of The Killer Next Door by Alex Marwood. Collette and Cher are on the run; Thomas is a reluctant loner; while a gorgeous Iranian asylum seeker and a 'quiet man' nobody sees try to stay hidden. And watching over them all is Vesta - or so No. 23 has a secret. In this bedsit-riddled south London wreck, lorded over by a lecherous landlord, something waits to be discovered. Yet all six residents have something to hide. To ask other readers questions about The Killer Next Door, please sign up. On a scale from 1 to 10 How scary is it? 1 being not scary at all, I'd read it to my children, and 10 being after the first chapter I have nightmares. Wow! I did not see that coming! Not in a million years! Great book! Imogene Church narrated this book above and beyond, again, as is her trademark. You really get to know the individual characters in the book whenever Imogene is telling any story. She can make you FEEL the emotions surrounding the characters, the intensity, the drama! Yes! Read it! Someone asked a question about rating this book, 1 being a book you could read to your children, 10 will give you nightmares. I would rate it about a Wow! I did not see that coming! Not in a million years! Great book! Imogene Church narrated this book above and beyond, again, as is her trademark. You really get to know the individual characters in the book whenever Imogene is telling any story. She can make you FEEL the emotions surrounding the characters, the intensity, the drama! Yes! Read it! Someone asked a question about rating this book, 1 being a book you could read to your children, 10 will give you nightmares. I would rate it about an 6. But, it completely depends on the person reading it. If your at all squeamish, I don't recommend it. It has mummification, people dying in various gruesome ways, including sewage. However, I wouldn't classify it as a horror level, either, not to the point of nightmares. Stephen King's Pet Sematary and It, give me nightmares. But, again, that's me. I just saw that I forgot to review this, oops! Now that some time as passed, this review is going to be more generic than most, as I can barely remember what I had to eat last night let alone all the intricate details to this wicked thriller. The plot revolves around the tenants that reside in a run down boarding house. All strangers who are forced to interact, even when they are trying their best to hide from the world. Strangers who have secrets-some sad, and some that are terrifying. What unfolds in this house, and to these characters is nothing short of brilliant. Each story line is seamlessly woven together, slowly building up to the grand finale that truly left me giddy. It's a creepy read, but so fun to read it all unfold! Highly recommend this thriller if you take some bloody scenes. They truly do add to the whole experience of how crazy this book is. The story centers around the tenants at 34 Beulah Road outside of London. One of them is a serial killer, referred to as "The Lover." What's bizarre is that no one even knows the women he's abducted and killed are missing, let alone there being a murderer in their midst. Each tenant has their own circumstances that make this an interesting book. Their backstories are told from each person's perspective, some heartbreaking and others chilling. It's easy to eliminate many of them early on but there are a few that are highly suspect and will keep you guessing. Warning...you also get The Lover's introspection, including his rather gruesome analysis of the bodies he's preserving in his apartment. I've a high tolerance for the macabre but I hit my limit here. The narrator does an excellent job of storytelling, building tension in the right places and tugging your heartstrings when it was appropriate. My only criticism is with her portrayal of some of the men where it was almost comical. However, she was so good in all other respects I adjusted fairly quickly. I really liked this book, which initially had a slow start but grew on me after a short while. At first, I didn't even think I was liking the characters but that changes, too, because of the author's skillful characterizations. Coupled with the talent of the narrator, it made for a very satisfying reading experience with an ending that left me smiling. I had so much fun with this book. This was my first audiobook experience so it could have went either way. When I first heard the narrator; changing her voice to suit the various characters (including an old lady, a Middle Eastern man, and a 15 year old girl brimming with attitude I honestly didn't know what to think. I ended up loving it! The narrator was great. I recall on a handful of occasions laughing out loud, or saying something like "Oh no he didn't!!!" I noticed myself taking the long way home in order to continue listening to the book. So the storyline centers around a group of individuals living in the same building. All of them have stories, something to hide; and one of them is a killer. Collette(Lisa) has been on the run from her gangster ex-boss for 3 years and has only moved to Beluah Grove in London because her mother is sick and dying and she wanted to be closer to her for the end. She meets an old lady named Vesta, who has lived in the basement flat her whole life, an Iraqi man her own age, seeking asylum in London, a quiet, hermit like man, Gerard Bright, who listens to classical music at the loudest possible volume, a 15 year old girl who is on the run from social services, and Thomas, the man in the attic, the overly-friendly but awkward guy with a perpetual smile on his face. This cast of characters make for a fun read. The narrator does an amazing job bringing them to life with her voice. One of these tenants is "The Lover", a lonely individual who kills women, and keeps their corpses in the home for companionship; attempting to use the methods of the Egyptians to keep the bodies in the best shape possible, to ward off putrefaction and decay. But Who is he???? As I said above, this a very enjoyable book. The characters were lively and fun to get to know. Everyone had a story and was so very relatable. The narrator was fantastic. I highly recommend this book, in particular the audio!!!! This was a little different than I thought it would be based on the title. I saw this audiobook while it was on sale at Audible recently and decided to buy it largely because of the title and the narrator. I thought that it would be a book completely focused on the killer alluded to in the title. That's not exactly what the book was. It's focus was not just on the killer but the entire building's tenants. Everything came together in the end a This review can also be found at Carole's Random Life. This was a little different than I thought it would be based on the title. I saw this audiobook while it was on sale at Audible recently and decided to buy it largely because of the title and the narrator. I thought that it would be a book completely focused on the killer alluded to in the title. That's not exactly what the book was. It's focus was not just on the killer but the entire building's tenants. Everything came together in the end and I did enjoy the story. There are a lot of characters that make up this story. Each of these people have their own story to tell and as the book unfolds we do learn quite a bit about them. This group of individuals have more than their fair share of problems. I loved how they became close to each other as things happened. The friendships that developed felt very real. Of course, there were a couple of characters that were anything but lovable. The landlord was a piece of work that made my skin crawl anytime we took a peek at his thoughts. Then there is the killer. These sections were actually some of my favorite in the story but I tend to like stories that are rather gruesome but not all readers will enjoy those parts as much as I did. I thought the narrator did a fabulous job. There are a lot of characters to keep straight in this book and they do spend a lot of time interacting with each other. The narrator was able to use distinctive voices for each character and seamlessly switched back and forth. I never had any difficulty keeping track of who was who in the story. I do think that I liked this story a bit more because I chose the audio format. The narrator really brought a lot to the story. I would recommend this audiobook to others. I think that the strong characters and the mystery of the killer worked well together in this story. This is the first book by Alex Marwood that I have read but I plan to look for her work in the future. This novel begins with one of the residents of a boarding house being interviewed about a crime which has taken place there; so the fact that there is, literally, a killer next door, is not a plot spoiler. However, this is much more than a thriller or a crime novel - it is a slice of London life and a story of the anonymity of the city. Having revealed that one of the bedsits of the Victorian house in Beulah Grove have contained a murderer, the story slips back in time to reveal the inhabitants This novel begins with one of the residents of a boarding house being interviewed about a crime which has taken place there; so the fact that there is, literally, a killer next door, is not a plot spoiler. However, this is much more than a thriller or a crime novel - it is a slice of London life and a story of the anonymity of the city. Having revealed that one of the bedsits of the Victorian house in Beulah Grove have contained a murderer, the story slips back in time to reveal the inhabitants and what happened to bring us to this point. There is sitting tenant, elderly Vesta Collins, music teacher Gerard Bright, part-time worker Thomas Dunbar, Cher, a teenage runaway from the care system, asylum seeker Hossein Zanjani and the new addition to the house, Collette. Collette is on the run from some very unfriendly people, clutching a bag of stolen money and looking over her shoulder as she attempts to remain anonymous. However, the revolting landlord, Roy Preece, knows enough not to ask questions and is only interested in receiving his deposit in cash. All his residents are hiding secrets or have slipped far enough in life that his threadbare rooms, devoid of creature comforts, are acceptable to them. This is an unusual, gripping and, strangely moving read about a group of people attempting to come to terms with lives that have led them to this lonely and, somewhat depressing, place. Full of dark comedy as the crimes unfold and the residents attempt to cope with their own personal problems (there is one image concerning the landlord that will take a long while to fade!) , this book encompasses themes of loneliness, alienation, a good old fashioned murder, gangsters and what makes a family. Absolutely brilliant and highly recommended. A rundown boarding house in London is home to jaded, toxic tenants and appalling secrets. As the characters' lives crumble before our eyes, Marwood slowly reveals the hideous secret that gives this compelling book its title. One of the most chilling books I've read in years. Sometimes you don’t want to know your neighbors. In this instance that is so true for at least five in this tenement of six. That’s because the odd person out happens to be a killer. Of course the others don’t know this - yet. They each have something to hide. That makes them sound as sinister as the killer, which is not the case. One is a recluse; two or three are on the run, or hiding from the past; and one has lived here all her life. That could make for a lot of stories, and therein lays part Sometimes you don’t want to know your neighbors. In this instance that is so true for at least five in this tenement of six. That’s because the odd person out happens to be a killer. Of course the others don’t know this - yet. They each have something to hide. That makes them sound as sinister as the killer, which is not the case. One is a recluse; two or three are on the run, or hiding from the past; and one has lived here all her life. That could make for a lot of stories, and therein lays part of the problem. Turns out there is a lead character within the six (plus one. I forget to include the landlord, Roy – and what a piece of work he is). The leads name is Collette (nope, not her real name), and yet I didn’t get the feel for a main character, or a continuity of direction until approaching the half-way mark. That’s because the chapters alternate between each person, so that we get a feel for each of them, and by then I realized that this is the story. It’s the story of the problems they face, which hardly even includes the killer. Oh the killer is in here, he’s just kind of a sideline, or that’s the way it felt for me anyway. One circumstance brings them all together about mid-book. It gets a little garish and things get more interesting. To summarize, I thought this would be about a lunatic knocking off his victims one by one. Turned out it wasn’t, (view spoiler)[excepting the end (hide spoiler)]. I still liked it. No reason for hate here, because as it went, I found the characters interested me, and the plot was semi-solid. What an intricate and clever story! Several unlikely characters come together in one house and lots of things happen! I don't want to give away any spoilers but this is a mish-mash of serial killer/gritty realism/mystery/family drama. Set in London in hot summer this is a great holiday read! 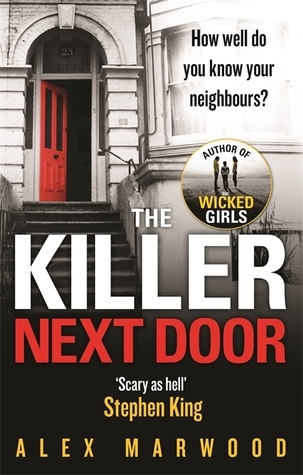 Alex Marwood who had critically acclaimed word of mouth success with The Wicked Girls has written another brilliant thriller which I am positive will also be critically acclaimed, The Killer Next Door. This is a brilliant second thriller which covers all the bases for a psychological thriller of the highest order. Collette who has been on the run from her villainous ex-boss whom she happened to steal a large quantity of money from has been chased all over Europe and is trying to lay low without being found again. She is being hunted by the police and her ex-boss who always seem to be able to catch up with her and it is not until the end of the book we find out how, is seeking somewhere in London to disappear and she finds it. She finds number 23 Northbourne, south London, which is a dark and dismal bedsit house presided over by an overweight money grabbing lecherous landlord. What we learn throughout the novel is that this property has six residents all with something to hide who will end up depending on each other to cover up an accident they cannot report to the police for fear of those secrets coming out. What we do learn is that one of the residents is a killer who has a penchant for mummifying the corpses and sitting with them after making them up. Vesta who has lived in the house all her life and believes she knows everything that is going on in it, but that will change soon enough for her. It would be Cher the underage children homes escapee that finally opens up the house to examination at the cost of her own freedom. The book starts with her and ends when she does another bunk from a Liverpool Children’s Home this time with a happy ending. It is everything in between that makes you stop and think, as the killer is slowly unmasked to the reader and he is always looking for new victims amongst the female house residents. While the body count does climb all in the midst of a heatwave that is suffocating the people of London, the residents of 23 Northbourne who are in their very own suffocating situation. What will happen next is what keeps you turning the page, all the blood and possible gore is set at a thrilling pace and to use the oldest cliché of The Killer Next Door being a fantastic page turner. This is a book that you will value the time to read as secrets are revealed even when you wonder if Collette is wrong for not going to the police to help her. There are so many twists and turns and a fantastic pace this is destined to be a bestseller and no doubt very soon a screen near you! I picked up this book, one of Audible's Daily Deals, on the strength of Alex Marwood's last book, The Wicked Girls, and now Marwood has joined my list of authors to follow - she tells a good story, she's carving out a niche for herself, and so far she's avoided the series trap. Marwood's niche seems to be "Lower-class British crime thrillers." "Lower-class" referring to the characters, not the books. In The Wicked Girls, we got a look at the lives of two girls who'd gotten into trouble as teenage I picked up this book, one of Audible's Daily Deals, on the strength of Alex Marwood's last book, The Wicked Girls, and now Marwood has joined my list of authors to follow - she tells a good story, she's carving out a niche for herself, and so far she's avoided the series trap. Marwood's niche seems to be "Lower-class British crime thrillers." "Lower-class" referring to the characters, not the books. In The Wicked Girls, we got a look at the lives of two girls who'd gotten into trouble as teenagers, and the very different paths their lives took because of how the system treated them. In The Killer Next Door, we have a collection of down-and-outers in London - runaways, political refugees, old people with nowhere else to go, the broken and the unemployed, all living in a shabby rental unit with your typical sleazy landlord. The eclectic personalities - the 15-year-old runaway, the Iranian political refugee, the septuagenarian with the secured tenancy who's lived in this dump her entire life, the ex-bartender who's wanted by the police and by gangsters - are all trying to mind their own business when a series of events brings inevitable disruption into their lives. First, there's the sleazy landlord, who would really like to get rid of Vesta, the old lady whose secured tenancy is costing him so much money. Then there are the people after Colette. And finally, there is the serial killer living among them. The last element is, of course, the major twist in the book, and Marwood spends plenty of time delving into his psyche and the world through his POV. A really nasty, self-pitying world it is, too, and quite plausible. You almost want to feel sorry for the pathetic little schmuck, except for the fact that he's a serial killer who lures women into his apartment so he can murder them and then turn them into mummified RealDolls to share affection with. Marwood also does not stint on graphic descriptions of bodily fluids and effluvia. So, this is a pretty violent and gross novel. But it's very well done, and underneath the crime thriller aspects (there isn't much time spent teasing the reader about who the serial killer is, since the suspect list is so small), it's also a harsh look at modern British society, with its underlying class system still very much intact, and the "poshes" and the not-so-poshes living in very different worlds. Marwood's sympathies are clearly with the not-so-poshes, as all her protagonists are people who've been kicked around a lot by life, but keep going and sometimes manage to get back up. Hm... I'm kind of on the fence about this one. I didn't really enjoy Marwood's The Wicked Girls, so i waited a while to read this, and again emerge with mixed feelings. On the one hand, I did like it better than The Wicked Girls simply because I found the majority of the characters so much more interesting and I really rooted for a couple of them, which is a huge plus, even if the story was not so great. It was gripping, but at the same time, I wanted to finish it quickly because the killer was Hm... I'm kind of on the fence about this one. I didn't really enjoy Marwood's The Wicked Girls, so i waited a while to read this, and again emerge with mixed feelings. On the one hand, I did like it better than The Wicked Girls simply because I found the majority of the characters so much more interesting and I really rooted for a couple of them, which is a huge plus, even if the story was not so great. It was gripping, but at the same time, I wanted to finish it quickly because the killer was particularly creepy. It did bother me a little that I basically knew the whole time who the killer was, as I usually prefer to have a bit of a guessing game with mysteries and thrillers, nonetheless, I definitely did not predict the twist at the end. All in all, a gripping read, but ultimately one I would almost prefer to fade in my memory quickly, simply because I found the mystery really unpleasant. A mix of people, most hiding or running from something, all live in bedsits in one apartment building. The landlord is so disgusting and predatory that I think I would have to be pretty darn desperate. Woman are going missing and it becomes apparent that they have a killer in their midst. Creepy, graphic cringe worthy violence, the overall tone is dark and desperate. Good characterizations of some of the tenants but definitely not for the faint of heart. A slow start made me dubious, but it moved right along after a bit. Who doesn't love a man who studies Egypt. I read Alex Marwood’s debut novel and as much as I enjoyed it, it made me feel uncomfortable. This second book made me feel uncomfortable but on a whole new level! I was bloody gripped from start to finish and felt like I was playing the world’s most twisted game of Cluedo (when you read it you’ll get what I mean)! The characters in this book I really liked as they all have their own dark secrets which have brought them to No. 23. Collet, Cher and Vesta made the core women and an additional 3 me I read Alex Marwood’s debut novel and as much as I enjoyed it, it made me feel uncomfortable. This second book made me feel uncomfortable but on a whole new level! I was bloody gripped from start to finish and felt like I was playing the world’s most twisted game of Cluedo (when you read it you’ll get what I mean)! The characters in this book I really liked as they all have their own dark secrets which have brought them to No. 23. Collet, Cher and Vesta made the core women and an additional 3 men plus the landlord make up the weird motley crew living there. From the outset I liked all the women, but the men…mmm well I just wasn’t sure. As the story progresses you learn a little bit more about each tenant and how they have come to be at the house. The most vile character was the landlord and he had my skin crawling from the very beginning. When an ‘incident’ happens at the house, the 6 tenants become united and things take a turn for the worse. The second thread aside from the individuals within the house is that of the killer. We see the killer perform his rituals and the question becomes, which one of them in the house is responsible. I must say that I do have a strong stomach and tend not to be too bothered about violence and gore. However, Alex Marwood has managed to describe the killer and their actions in such details that it made my stomach turn on more than one occasion. Thank you to the author and publisher for the much anticipated review copy. Impressive. Yes ok, this is crime fiction. There is a mystery and things to discover here, but for me this was mostly a character driven novel – and a rather addictive one at that. Within the walls of number 23, an eclectic cast of characters hang their hats – all hiding out from the world for one reason or another and all incredibly well drawn, I was immediately fascinated by every one of them. From the very beginning Alex Marwood hooks you. Cher, teenage runaway, is interviewed at the police station, giving her statement about a recent gruesome discovery – then we are thrown back in time to start meeting the people involved…the residents of No 23. Knowing that doom is approaching for at least one, this is a book you may shout at. “No”. “Don’t do that”. “RUN RUN!”…and yet you are never entirely sure whether you are directing your advice at the right people..clever. Love it. Putting that side of it away for a moment – the more frightening part if you like – you can also look at this story as a soundbite from life. Cher, teenager, thief, but also someone you would want on your side. Collette, hiding from danger not realising that she faces far worse in her chosen sanctuary, Vesta, pensioner, is mother and confidante to all. Then you have a handome asylum seeker Hossein, the lonely Thomas and the musically minded Gerard, all watched over by the repugnant landlord Preece. Different views, different lives, all tied together by their mutual living space, you could easily read this as a cautionary tale of the ups and downs of life…and somewhere in that marvellous mix a killer lurks…hiding in plain sight. From start to finish this is a terrific page turner, a look at the dark heart that lurks in us all and a compelling, often emotional, always refreshing tale of humanity. Collette has an easy job. Sure, deep down she knows she is paid with dirty money, but its a lot of money. One night she sees something she shouldn't have and has to go on the run. After a few years of constantly moving around, she eventually makes it to 23 Beulah Grove. At first, she thinks this is the perfect place to stay for awhile. Due to a family issue, she must stay put for awhile. She needed somewhere to stay where people wouldn't be too curious about her. Somewhere the neighbors wouldn't ask too many questions. One walk through the building tells her 23 Beulah Grove is that kind of place. The only reason the other tenants would live in a slum-hole like it would be because they also were hiding from someone or something. Mio caro Stevie, ma che ti sei bevuto, figlio mio? Alcol etilico allo stato puro? Questo non è un libro inquietante, è solo una favola (con annesso e connesso lieto fine) che, al posto delle principesse, delle fate e degli orchi, offre donne che scappano, affascinanti rifugiati politici, quindicenni con più risorse di Wonder Woman, zitelle settantenni capaci di buttare alle ortiche un’intera vita e un serial killer che pare lo “scemo del villaggio”. Nonché una lunga sequela di fatti del tutto inverosimili. L’idea iniziale, comunque, non era affatto male e, se ben sviluppata, avrebbe potuto sfociare in un “giallo” più che discreto. Ma così non è stato, a mio modesto avviso. Comunque, sono sicura che, prima o poi e con gli adeguati aggiustamenti, ne faranno un film. Pare fatto apposta. I really enjoyed the character development of the tenants who rent rooms in this sad, dilapidated rental in London. They each have their own secrets and stories, and we learn these as the story evolves and they get to know and trust one another. A destitute elderly woman, a teen runaway, a woman fleeing the mob, and a middle eastern refugee....all four of the main characters were very memorable, and likable in their own ways. This, and the ending, were five stars for me. The murder/evil part of t I really enjoyed the character development of the tenants who rent rooms in this sad, dilapidated rental in London. They each have their own secrets and stories, and we learn these as the story evolves and they get to know and trust one another. A destitute elderly woman, a teen runaway, a woman fleeing the mob, and a middle eastern refugee....all four of the main characters were very memorable, and likable in their own ways. This, and the ending, were five stars for me. 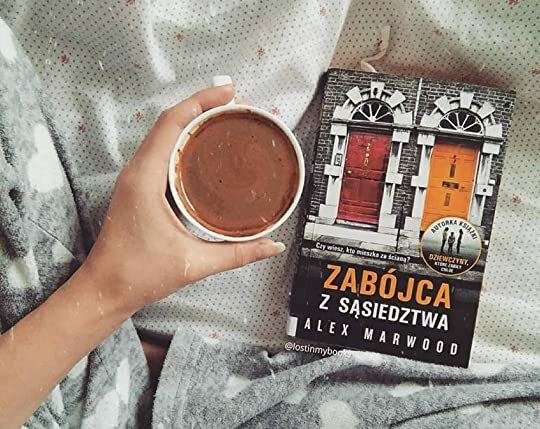 Alex Marwood is an author to have caught my eye a couple of times in the past, but it’s only when I needed another book to complete a deal that I picked up The Killer Next Door. As the book had caught my attention a few times, I decided it was time to take the leap and see if it was what I was hoping for. In truth, I was rather let down by this one. If I’m being brutally honest, this book spent a lot of time sitting around the two-star rating. 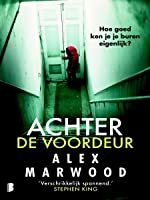 It was more of a two-point-five-star rating in the en Alex Marwood is an author to have caught my eye a couple of times in the past, but it’s only when I needed another book to complete a deal that I picked up The Killer Next Door. As the book had caught my attention a few times, I decided it was time to take the leap and see if it was what I was hoping for. In truth, I was rather let down by this one. If I’m being brutally honest, this book spent a lot of time sitting around the two-star rating. It was more of a two-point-five-star rating in the end, and a part of me decided to round up – if only because it was marginally better than the books I usually hand out two-star rating to. I think my biggest issue is that I went in expecting something completely different to what I was given. The title alone was enough to put ideas into my head. Unfortunately, the attention to the killer next door – the part of the story I was interested in – seemed to get lost under all the other stories going on. This was less of a thriller, and more of an insight into the lives and secrets of those living within an apartment building. It just so happens that one of these people, to spice things up a little, is a serial killer. Don’t get me wrong, there were plenty of attempts at the thriller aspect. Not only do we have a serial killer, we also have a run in with a gang. However, neither really lived up to the full potential. I wanted to be sucked into this one, yet I was more than capable of putting the book aside and doing something else. Partly, it’s because I did not care for the characters. None of them interested me all that much. Partly, it was because of the writing. We seemed to shift from third person to first person within chapters, from perspective to perspective within chapters. It wasn’t the type of writing for me. However, I can appreciate how things came together in the end. That is what had me rounding up to a three-star rating. It may not have been the explosive read I had been hoping for, but it came together better than I’d expected. A bedsit in London with the kind of occupants who wish to remain off the grid, a house of secrets and lies. Everybody has something to hide, some more than others. This was a fantastic and gripping page turner that I consumed in one sitting. Disturbing and creepy, great characters and a twisted killer, this is definitely worth reading if you like crime fiction. Wiecie co jest gorsze od braku chęci na czytanie? Trafienie na książkę, które sprawia, że już w ogóle masz ochotę przestać czytać książki! Na ,,Zabójcę z sąsiedztwa" trafiłam w bibliotece i pomyślałam, że może to być fajna książka, a że miałam ochotę na jakiś thriller to tym bardziej wzięłam. To był jeden z moich największych błędów czytelniczych. "Jedyni ludzie, którzy naprawdę wierzą w to, że ,,za pieniądze nie kupisz szczęścia", to ci, którzy nigdy nie musieli bez nich żyć." Początek książki, n Wiecie co jest gorsze od braku chęci na czytanie? Trafienie na książkę, które sprawia, że już w ogóle masz ochotę przestać czytać książki! W ogóle przez pierwszą połowę totalnie nie ogarniałam bohaterów, ciągle mi się mylili, było ich za dużo i w dodatku autorka skakała co chwila z jednego to na drugiego. Jedyną postać, którą polubiłam to była Cher, była jedyną osobą dzięki, której cokolwiek się działo ciekawego. Zabójca? Jaki kuźwa zabójca. W ogóle ta książka opiera się na problemach bohaterów i ich życiu, a sam zabójca nie dość, że pojawia się dość późno to na dobrą sprawę on tam chyba jest 10-planową postacią, w ogóle nie jest ważny. Jego wątek nijak nie wpływa na fabułę (no może na końcu troszeczkę). A przecież miało być strasznie i przerażająco. Miał ich mordować czy coś... Czytałam słabe thrillery, ale one chociaż miały to co miały mieć, a ten tutaj to jakaś pomyłka według mnie. A no i jeszcze niektóre osoby mówią coś, że lubią w tej książce specyficzny humor angielski, to od razu mówię on jest bardzoooo specyficzny, bo ja go nie wyłapałam, przynajmniej wiem, że to nie mój humor. The residents in No. 23 Northbourne, South London, are a mixed bunch of the forgotten and ignored before Collette turns up, she is the one resident that someone is looking for. Unfortunately for Collette her past keeps catching up with her, someone wants her silenced and has been relentlessly tracking her for three years. The cloying atmosphere of London in a heatwave is the scene brilliantly captured as the repulsive, obese Landlord Roy Preece is persuaded to let out a room still partially full The residents in No. 23 Northbourne, South London, are a mixed bunch of the forgotten and ignored before Collette turns up, she is the one resident that someone is looking for. Unfortunately for Collette her past keeps catching up with her, someone wants her silenced and has been relentlessly tracking her for three years. The cloying atmosphere of London in a heatwave is the scene brilliantly captured as the repulsive, obese Landlord Roy Preece is persuaded to let out a room still partially full of the previous owner's possessions to Collette. Meanwhile the others in the house each have their own secrets, the underage runaway, Cher, the kind elderly spinster Vesta, a political asylum seeker Houssein, the bore Thomas, and the broken music teacher. The characters are wonderfully drawn, particularly Vesta and Cher as they battle to keep the events in No. 23 away from the prying eyes of the neighbourhood. This book has the requisite serial killer, with an original aim but it also has multiple murderers and for me this was where I found I lost belief in the story. The dead bodies are mounting, the stench is thickening and the secrets are spewing out, but it stretched credibility to breaking point. For me there is a limit to how much horror one set of people can be reasonably expected to encounter. No car chases in this book but escapes on foot, on buses and trains and all manner of bloody encounters serve to keep the residents on their toes! Alex Marwood is brilliant at summing up attitudes through the observations in her prose. We never meet the family who live next door but their uniform of cardigans slung around their shoulders tell us all we need to know and as the residents of No. 23 pull together they seem further than ever away from the aspirations of the neighbours. I tried to start this one a few times but had trouble getting into it so I set it aside for a bit and came back later. I'm so glad I did ... once I got into it, I really enjoyed this novel. I liked the intermix of action and character study that I found in this novel. I really like the character study piece and I think it made the story much more impactful overall. The primary reason for my 3 star rating is that I think the novel did have a bit too much action at times - in other words, how much I tried to start this one a few times but had trouble getting into it so I set it aside for a bit and came back later. I'm so glad I did ... once I got into it, I really enjoyed this novel. I liked the intermix of action and character study that I found in this novel. I really like the character study piece and I think it made the story much more impactful overall. The primary reason for my 3 star rating is that I think the novel did have a bit too much action at times - in other words, how much can one group of people possibly encounter at one time!?!? It makes the overall story lose some of its believability, in my opinion. In addition, I think the 'killer' from the title is revealed a bit too early (and wasn't very difficult to figure out). With that all said, it's still a really good story with interesting characters. I think the pacing is great, the exploration of nuance was superb and the characterizations were fantastic. Seven tenants share a cheap London house, paying cash, each with a different reason to lie low — one of them because he's a serial killer, slowly mummifying women's corpses in his flat to give him companionship. Alex Marwood (The Wicked Girls) creates three beautifully sympathetic female characters for the killer to endanger, including a runaway, a forlorn but great-hearted old woman and most centrally Colette, who's on the run from gangsters with a bag of their cash. The Killer Next Door is an odd book: way too long, the killer revealed too early and casually, and more than half of its cast, the men of the house, unknowable, because they have to be held in reserve as suspects. But watch out for Marwood. Gillian Flynn, just to take an example, also started out with two flawed but accomplished and vivid novels, and then she gave us Gone Girl. 23 Beulah Grove is quite the house of horrors. The tenants have secrets, the landlord is a nasty piece of work, and only people out of options would live there. For me, this book suffered from not knowing what it was. The icky bits dipped into horror, the tenants' bonding over an unfortunate act was prime black comedy material (with no intentional humour) and the hidden backgrounds of a couple of characters brought a mystery feel to the novel. Any one of those themes would have worked for me, bu 23 Beulah Grove is quite the house of horrors. The tenants have secrets, the landlord is a nasty piece of work, and only people out of options would live there. For me, this book suffered from not knowing what it was. The icky bits dipped into horror, the tenants' bonding over an unfortunate act was prime black comedy material (with no intentional humour) and the hidden backgrounds of a couple of characters brought a mystery feel to the novel. Any one of those themes would have worked for me, but together it felt like a mishmash. I received an advanced copy of this book from the publisher Penguin Books via Edelweiss in exchange for an honest review. The expected publication date is October 28th, 2014. If I could describe this book in one word it would be creepy. I mean, really really creepy. Going back and forth from the perspective of the tenants in 23 Beulah Grove and "The Lovers" perspective added an additional element to the story. We learn about the secrets of each of the resident's throughout the story and what brought them to this stage in their life. We also learn bit by bit what the killer is up to. You are left guessing for a while who it may be but it is revealed (I'm not telling) before the conclusion of the story. I figured it out right away so I will leave it to others to do the same. The passages involving "The Lover" were really gross. This may not be the best reading material for those who have weak stomachs as it is pretty graphic from describing what he does with the bodies down to the smell. There is a lot of emphasis on the smell which I will admit turned my stomach as well. I had a couple of small issues with the story which are completely mine and not really associated tot he writing. The first is that I was not familiar with some of the terms used as the story takes place in England. A little bit of a different English but mostly associated to the titles of the detectives etc. Not a show stopper at all. The second was in some of the descriptions of what the killer was doing to the bodies. Since it is so far from my reality I wasn't always sure what it was but was able to get the main gist of it. Perhaps it is a good thing I am so naïve!